When you think of pirates, it’s usually of the “yo ho ho” variety. Skulls, crossbones, and shoulder hugging parrots spring to mind. Feats of swashbuckling and adventure all in the name of elusive treasure. Long the domain of Robert Louis Stevenson and Disney, most forget piracy is a serious threat in today’s economic climate. Instead of sabres and flint lock pistols, the bad guys tote AK-47’s. Based on the true story of a cargo ship’s run in with modern day hijackers, Captain Phillips is an engrossing, exciting and realistic action-thriller that ranks among some the best releases of the pre-Oscar season. Tom Hanks plays the titular Captain Phillips, an experienced seaman who takes a contract to lead a cargo ship full of supplies to Africa. On the other side of the ocean is Somali tribesman Muse (Barkhad Abdi), a marauder of merchant ships at the behest of the local warlords. When Muse leads a band of countrymen to highjack Phillip’s ship, the captain finds himself in a desperate struggle to protect his boat, his crew and himself. Directed by Paul Greengrass, the most obvious visual flair is the use of the controversial “shaky-cam”. 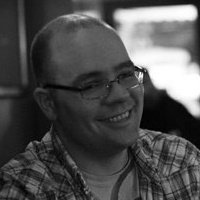 In case you were unaware, Greengrass was one of the first directors to make use of the technique, most notably in the final two Matt Damon Bourne movies. While copycats have made the style a head-swimming mess, Greengrass has it down pat. Thanks to the handheld camerawork, the pirate threat is immediate, real and instantly attention grabbing. The movie also does an effective job in highlighting a number of themes: the intensity of being held against your will, the underlying political agendas of a large scale rescue and the simple necessity to fend for survival. The final point is the most provocative. It’s established early on that Muse doesn’t have much of choice in raiding cargo ships. His Somalian village is ruled by violence and it’s either steal or go hungry. This base motivation doesn’t excuse his actions, as he’s still out there for greed and glory, but it allows for the audience to understand his underlying reasons. Abdi plays the part perfectly, balancing an infectious sense of hopeless optimism and depth of being a very dangerous individual. Of course, the meat of the runtime is spent with Tom Hanks and, thanks to some deft screenwriting by Billy Ray (State of Play, The Hunger Games), he delivers his best performance since 2002’s Road to Perdition. In fact, the final 10 minutes may rank among the strongest, most heart-wrenching work of his career. The perfect everyman, Tom Hanks is brutally believable as the beleaguered captain. 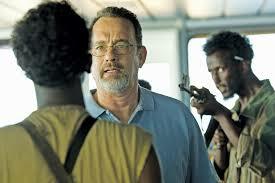 While all is said and done, Captain Phillips is an exceptional entry into the real life action-thriller genre. Much like this month’s Gravity, Tom Hanks’ latest knuckle biter achieves every goal set for it and then some. While it doesn’t have the wow factor of the aforementioned aerospace adventure, Captain Phillips has all the makings of a Top 10 film for 2013. Hanks’ excellent performance and some of the best hand held camera work to date is just icing on the cake. Yoo ho ho and a bottle of awesome.